Russian businesses are expecting wide-ranging reforms and are full of suggestions for a new government as Vladimir Putin begins a fourth Kremlin term with promises to revitalise the country’s economy. While Moscow’s relations with the West remain tense with US sanctions hurting the Russian economy like never before, the new government will be tasked to fulfil the ambitious goals Putin presented to parliament in March. In his last major speech before winning the presidential election by a landslide, Putin set a goal of halving Russia’s “unacceptable” poverty rate in six years by investing in infrastructure, housing and health services. He also promised a growth rate of four percent against forecasts of one to to two percent, as the Russian economy continues to stabilise following a recession that ran until 2016. But the 65 year-old Russian leader did not explain how he aimed to achieve these goals and solve the predominantly structural problems holding back the country’s growth. Oleg Kouzmin, an analyst at the Renaissance Capital investment bank, said business circles hope that “concrete reforms and development plans with real steps” would be outlined after Putin’s inauguration on Monday. In recent years, the government mainly focused its efforts on fiscal and monetary discipline to avoid dramatic changes to the deficit or debt in a country still traumatised by the 1998 financial crisis. 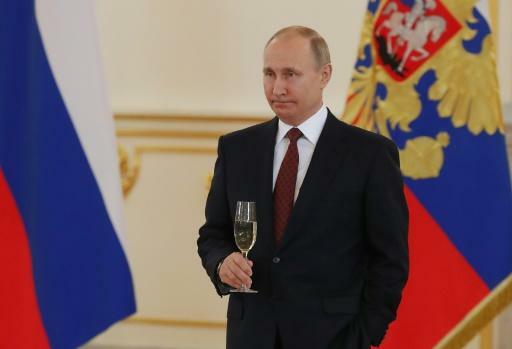 But favourable conditions for reforms are finally coming together for Putin, who has led Russia for 18 years, in his fourth term. Kouzmin said it was hoped the new government will adopt measures to “address the weakness of the labour market and adverse demographic dynamic” as well as weaknesses in education and health provision. Investor support and financial development of the Russian regions would also be welcome, he added. Thanks to control of inflation, a long term bete-noire of the Russian economy, these objectives could be “more achievable than in the past,” according to Renaissance Capital. Chris Weafer, founder of the consulting firm Macro Advisory, said that a public debate on infrastructure financing, taxes and public spending in the education and health sectors could take place at the start of Putin’s new term. But Weafer said it “is not realistic” to hope for in-depth reforms. “Vladimir Putin received a mandate from a people who were more or less satisfied with the way the country is run,” he said. “The reforms in Russia are moving forward and will continue to progress in small steps so as not to risk unexpected consequences or instability,” he added. Alexei Kudrin — a liberal former finance minister who is respected by the business community in Russia and foreign investors — is expected to return to the Kremlin in a reshuffle. Close to Putin during the election campaign earlier this year, Kudrin has pushed for a raft of unpopular measures. He advocates cutting the number of Russian bureaucrats by 30 percent in six years and increasing the male retirement age to 63. A legacy of the USSR, Russia’s retirement age — currently set at 55 for women and 60 for men — is among the lowest in the world. Given the demographic decline, the pension system represents a growing weight for the federal budget despite the fact that pensions are small. Kudrin has also called for the introduction of technology classes for children from a young age to create “two million additional developers to digitalise the economy,” echoing the hopes of the business community. “Change the secondary and higher education system. We do not need this many lawyers, we need technology experts,” said Oleg Tinkov, the founder and chairman of the Tinkoff Bank board of directors. But even if he gains support from the government, Kudrin will struggle to implement his reforms amidst the traditional reluctance of the Russian state towards any major reform. “President Putin is clearly in favour of a more cautious approach,” said Weafer.